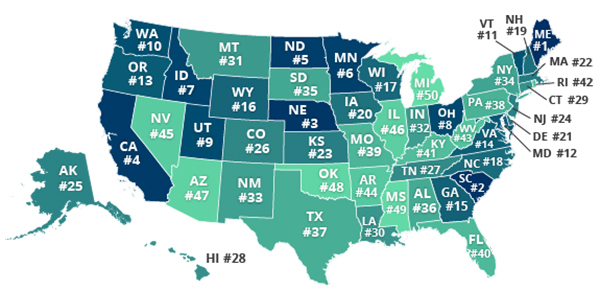 The Year’s Best And Worst Driving States In The U.S.
With 2019 now in full swing, QuoteWizard, an online insurance comparison marketplace, has released a new proprietary study ranking the best and worst driving states in the nation for the past year. To compile the data, QuoteWizard sampled incident data (with more than 2 million data points) from drivers who used its services and linearly extrapolated it to Federal Highway Administration fatality data. To quantify overall driver standards for comparison, QuoteWizard then weighted various incident counts for each state with its frequency. The final rankings are a sum of weighted means, calculated from total accidents, speeding tickets, DUI, citations and fatalities.